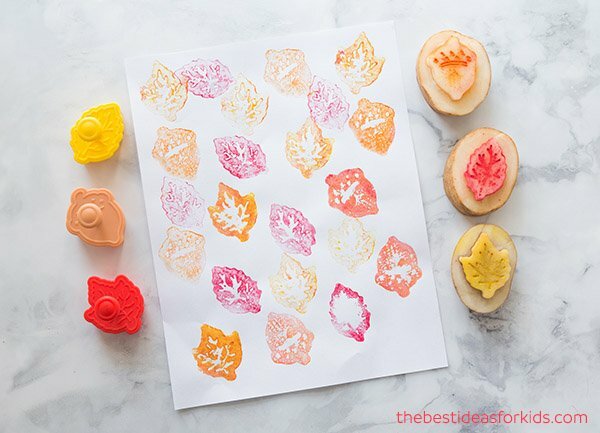 With Fall just around the corner, today we are sharing a brilliant and easy way to make potato stamps! There is nothing more fun than getting some paint out and doing vegetable painting in the Fall. 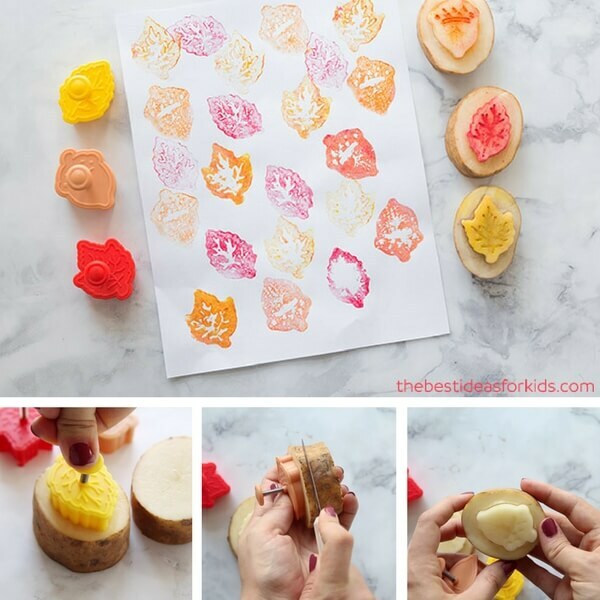 This simple method for creating potato stamp art will have your kids busy for hours. 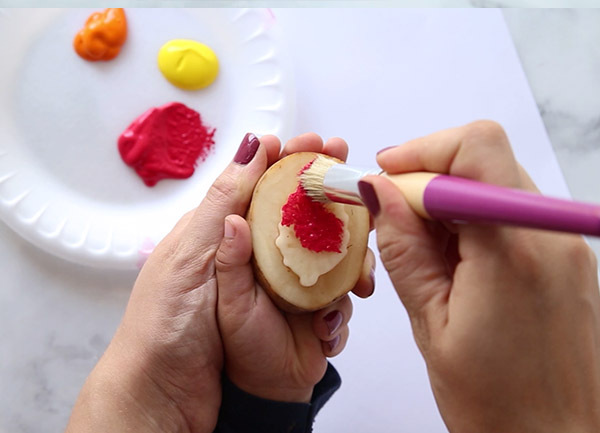 So today, we’re showing you potato stamping – the easy way! 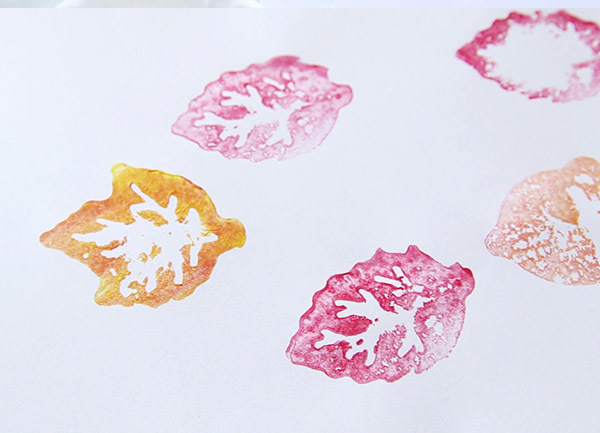 Look how pretty these leaf and acorn stamps turned out. 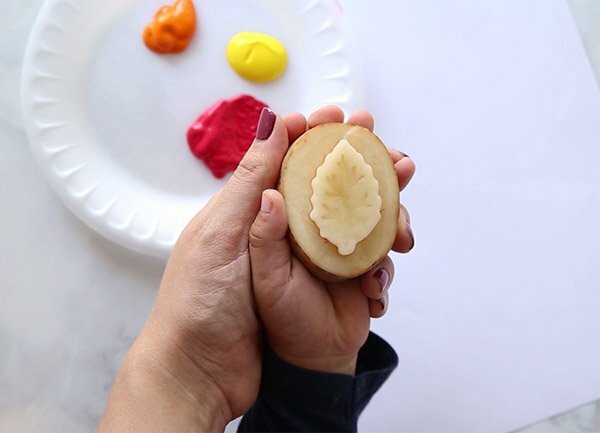 Make your potato printing art fall themed by using yellow, red and orange paints. 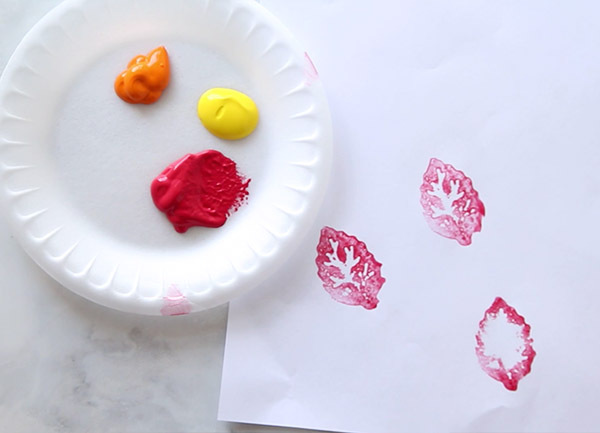 You can even use colored ink instead of paint. 1. First cut your potato in half. Then press your cookie cutter into the potato as far as you can. 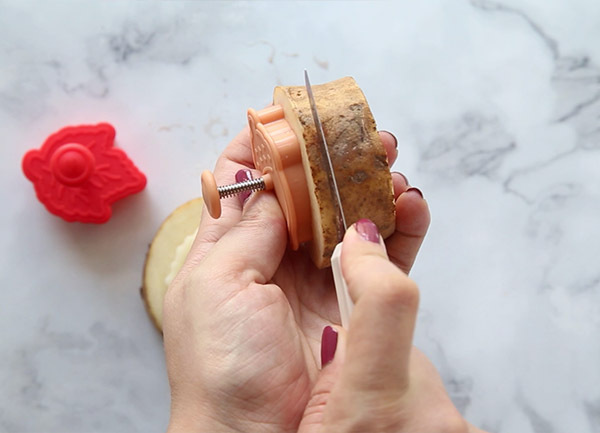 Make sure the imprint portion of the cutter goes into the potato. If it doesn’t, flip the potato over and push down hard over top the potato. 2. 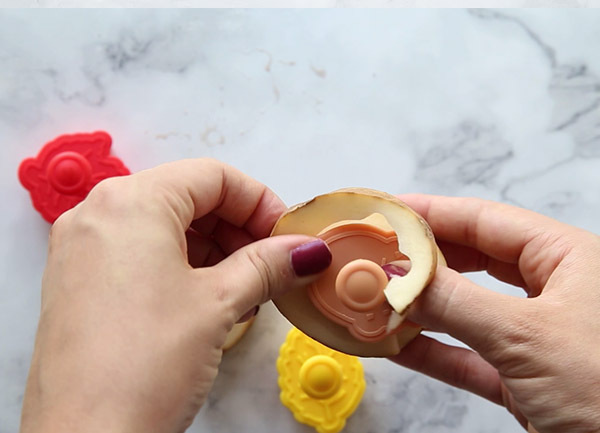 Now carefully cut around the edge of the cookie cutter (adults only) to leave a portion of potato sticking out where the cookie cutter was. 3. 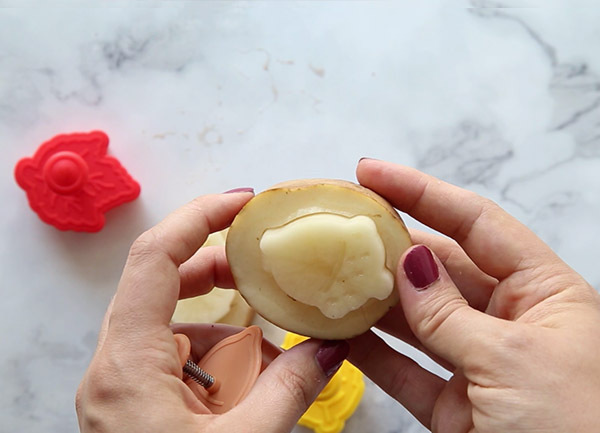 Peel away this excess portion of the potato. 4. 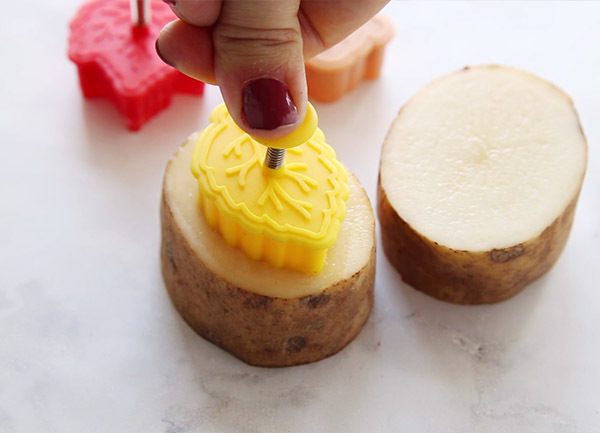 Now your potato stamps are ready. Look how pretty they look! 5. Add a little bit of paint to your stamp. Don’t add too much or the features won’t show up. Now have fun potato stamping away! 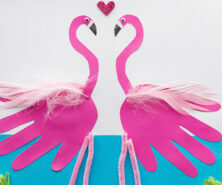 You can make stamped cards, wrapping paper, or just plain print art. We are going to be doing vegetable printing again for every holiday now. Stay tuned to our Facebook page and follow along so you can see when we do snowflakes for the Winter. 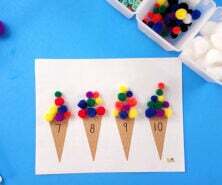 For another fun fall printing idea, check out how we made pinecone art by painting with pinecones. 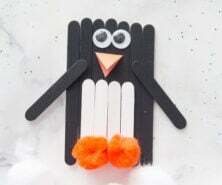 I love these crafts for children ,even for myself. I share them with my friends that are in daycare teachers,etc. Thank you for such fun ideas.